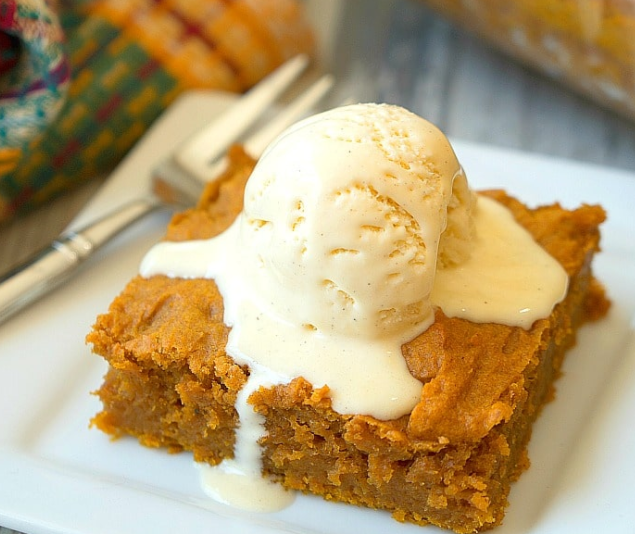 I’ve put together ten top Pumpkin Dessert Recipes you need this Fall — these all come highly recommended by fellow bloggers – they’re basically the best, of the best. If you need your pumpkin dessert recipes fix, you’re going to want to save this list for later. Gosh, I just love this time of year. Leaves falling, Pumpkin Spice Lattes flowing, leggings rockin’. Isn’t it grand? Let’s get our pumpkin on, shall we? Crock pot desserts are an absolute favorite of mine, I love how they can bake themselves without even touching the oven. 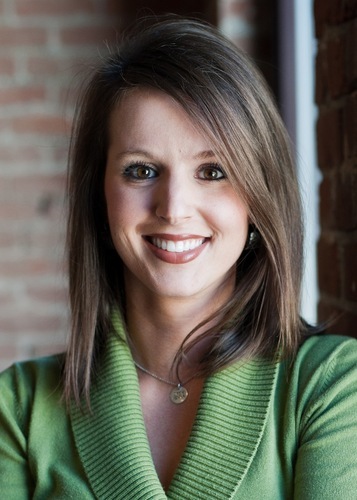 And, let’s be honest, when the crock pot is on, it just feels like Fall, doesn’t it?! 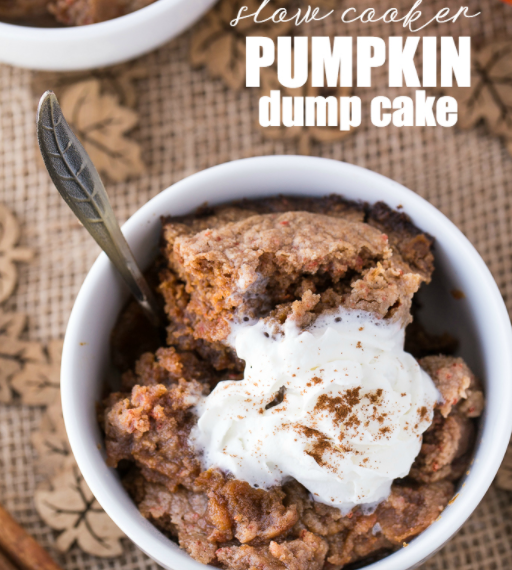 This slow cooker pumpkin dump cake is definitely worth a try! Pin it for later here! With just 6 ingredients total, this easy pumpkin pudding cake recipe here is a cinch to throw together for dessert at home or to take to a potluck! When you add pudding to a cake mix, it becomes a whole other beast – love that! “No bake” and “Crock pot” are my favorite words to hear at the beginning of any recipe, let alone, a pumpkin dessert recipe! And this recipe here is just that! All of my favorite flavors are mixed together in this recipe and it looks absolutely delicious. 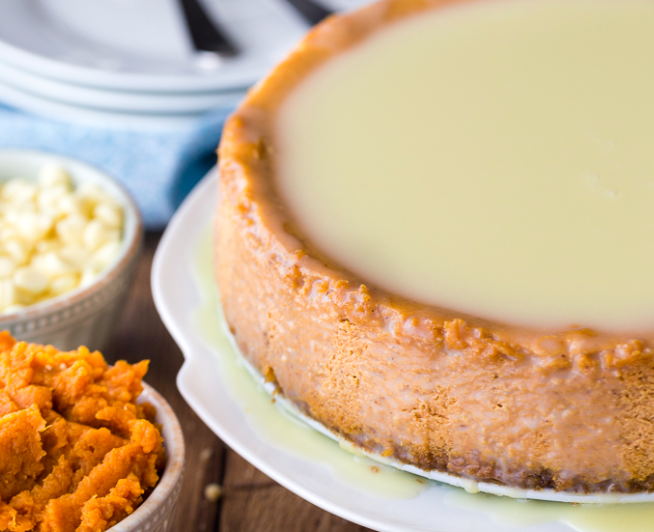 If you need a quicker pumpkin dessert that can come together in a flash, this pumpkin cheesecake recipe might just be the one for you! 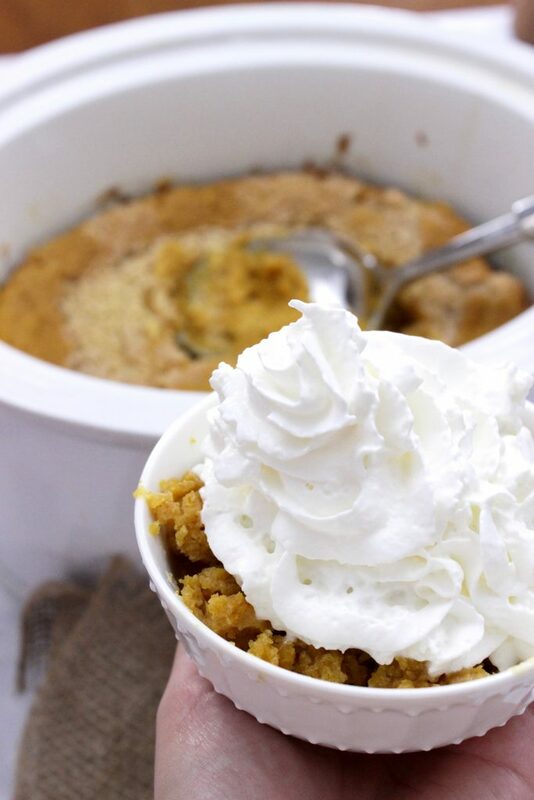 This slow cooker pumpkin dump cake recipe looks absolutely divine! And, if I were a betting woman, I’d venture to guess that you might even have most of the ingredients in your kitchen right now. And, bonus points for being a crock pot recipe, right?! You can see this entire recipe here. 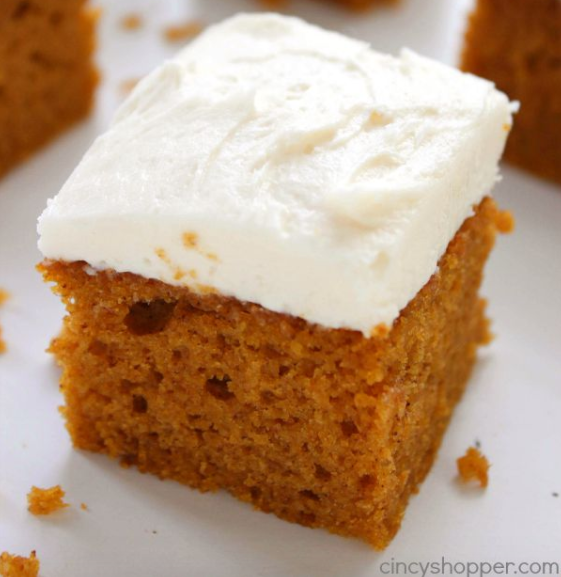 This Pumpkin Cake with Cream Cheese recipe here looks absolutely perfect! And, then add on the layer of thick cream cheese frosting on top, and you’re basically in heaven, right?! Are we in Heaven? 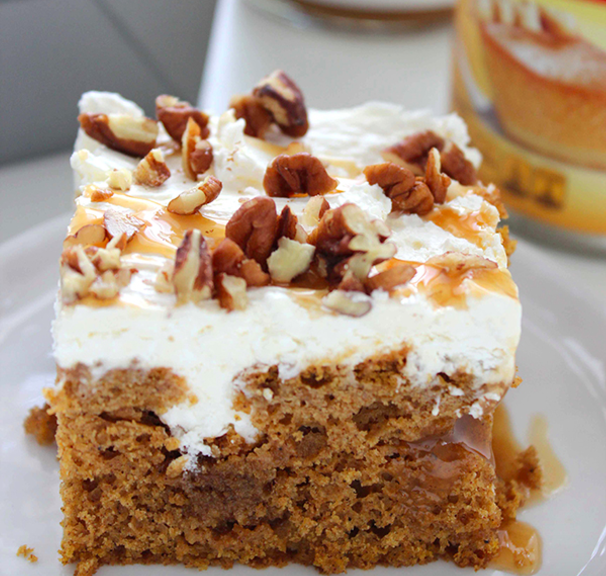 Nope, we’re in Iowa 🙂 This Pumpkin Caramel Poke Cake recipe here would go like gangbusters in the Sorensen house, that’s for sure! Would it be a hit at your house as well? Pin this doozie here! Don’t these look absolutely delicious?! 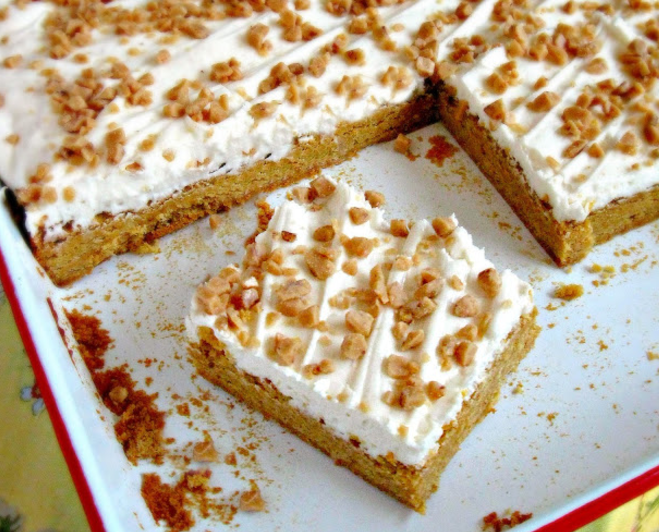 These pumpkin cookie bars here are described as chewy, thick, soft sugar cookie bars frosted with a vanilla buttercream and sprinkled with toffee bits. WOW! I bet kiddos love these! Want to knock the socks off of of someone in a few seconds flat? You’re going to want to make these Pumpkin Mini cakes here STAT. 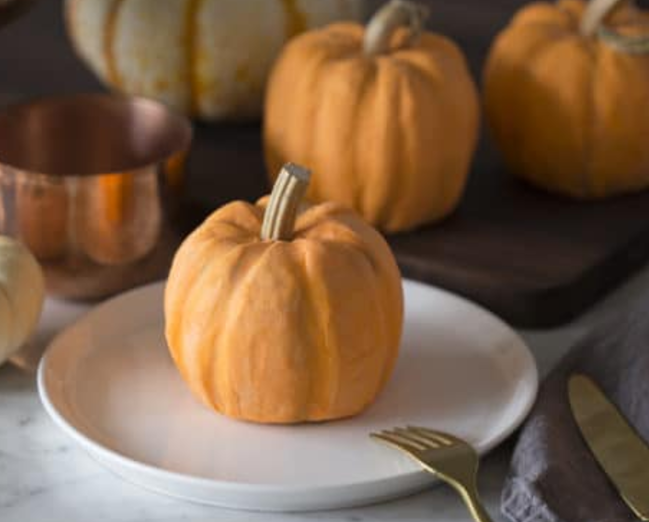 These are just plain adorable and would be SO fun for a Fall party, Thanksgiving, or to bring to the neighborhood get-together! How adorable! 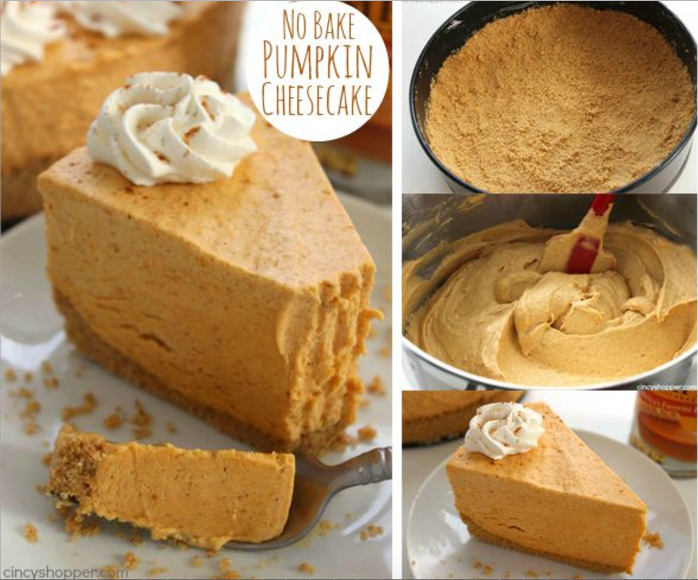 Pumpkin + cream cheese = amazing concoction every.single.time, am.i.right? 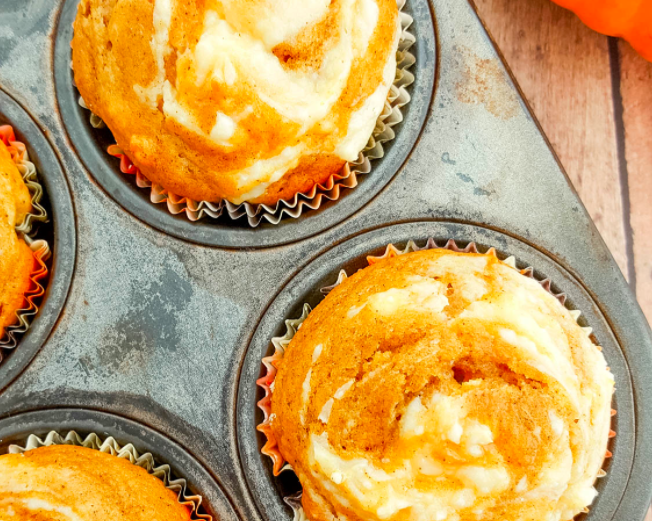 And, this pumpkin cream cheese muffins recipe here doesn’t look to disappoint either – Hello, awesome! And, last but not least this white chocolate pumpkin cheesecake recipe on the Simply Stacie blog here. Pretty sure this combo could make you melt. White chocolate and pumpkin seem like they’d be the perfect mixture of amazing, creamy and delicious all in the same bite – WOW! See more pumpkin dessert recipes!